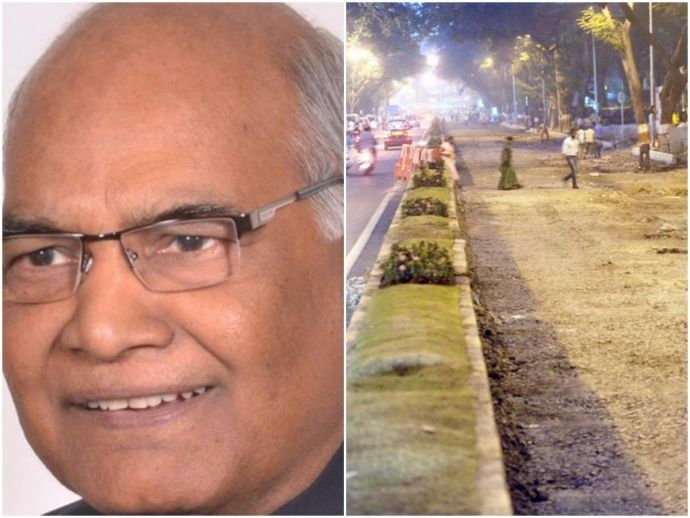 Ahead Of President Kovind's Visit, Nagpur Civic Authorities Will Make Roads Pothole Free! A week ahead of President Kovind’s Nagpur visit, civic bodies ensure that all the probable routes are pothole free. Half of the city’s roads are in a pitiable condition because of the metro construction and the other half because of the cementing project. But a week before the scheduled one day visit of the country’s new President Ramnath Kovind, the Nagpur Municipal Corporation seems to be on a road re-paving mission for all the routes the convoy is likely to take. It hasn’t been revealed how much expenditure will be incurred for this activity, neither has the source of the funding been revealed. According to a senior NMC official, usually, these projects are funded through the Road Maintenance Fund. "We were concerned about the bumpy surfaces in many of areas of the city. So we had them on our to-do list," he said. The district administration received a confirmation of Kovind’s visit last week. Kovind, who is visiting the city on the 22nd of this month, would be inaugurating the Suresh Bhat Auditorium and a Vipassana center in the Dragon Palace at Kamptee. He would also be paying a visit to Deekshabhoomi. All the routes which might be taken by the President’s convoy have been inspected by Municipal commissioner Ashwin Mudgal and deputy commissioner of police (traffic) Ravindrasinh Pardeshi along with senior NMC officials and traffic cops. 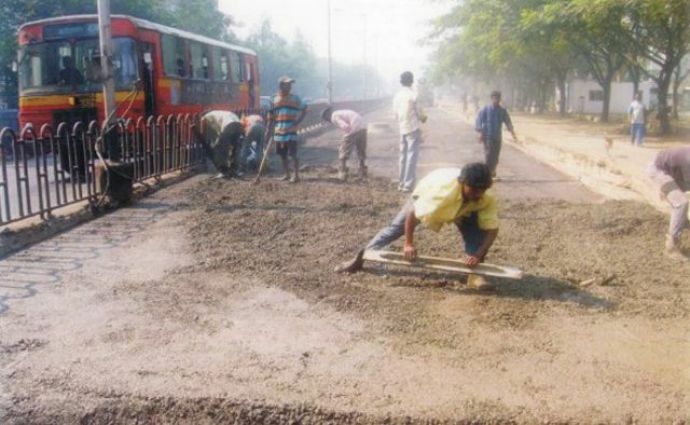 Pardeshi told TOI, "After our inspection, we requested the NMC to ensure pothole-free roads for the President." In a meeting with the NMC officials that Mudgal convened on Wednesday, he issued directives for repaving several roads including, the corridor between the airport to Ajni Chowk and Rahate Colony T-point to Ajni Flyover to Medical Square roundabout to Ashok Chowk from where he is expected to visit Reshmibagh. Since the President’s route is a secret, the NMC is also planning to repave one of the worst patches of the city, the Great Nag Road. However, the DCP expressed concern over the condition of roads alongside Metro Rail work on Wardha Road and in front of Ajni Railway Station. "We have asked Metro Rail to clear its belongings on the roads and also repair bad patches where its works are being carried out," he said.